The Batley Poets spun out of the first Batley Festival in September 2012, inspired by the Gujarati Writers Forum, The Yorkshire Dialect Group and many individual local poets and enthusiasts. 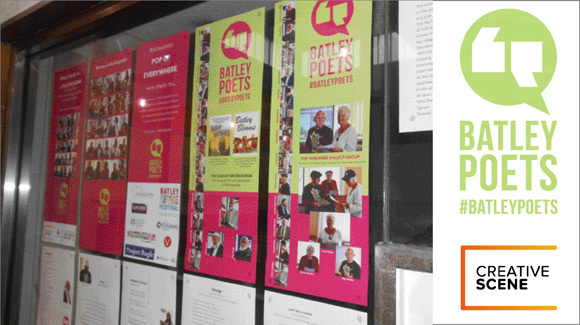 In November 2014, supported by Arts Council England and Creative Scene, Batley Poets created their first 'pop-up' display in the disused Alfreds' Way shopping centre in Batley for Batley Business Association. The phrases, 'Everyone's a Batley Poet' and 'Anything Goes' sum up the Batley Poets. or, or, or, or...you are a #batleypoet. ...in short...we are all #batleypoets. Follow us and keep up to date with our latest news, book a show or share your thoughts.